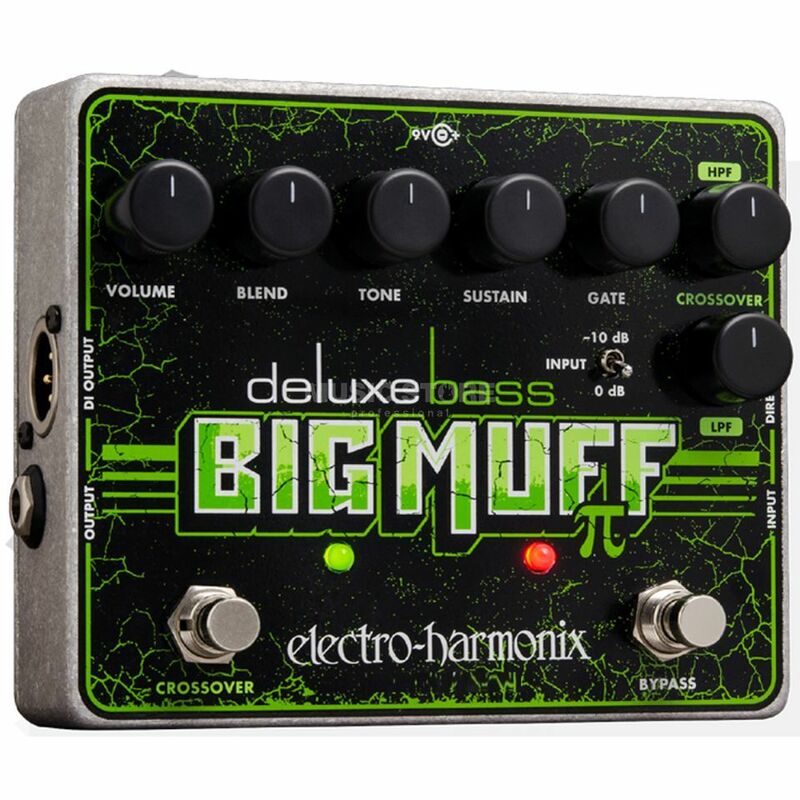 The Electro-Harmonix Bass Big Muff Pi Deluxe is the latest model from the world famous EHX bass specific effects. The Bass Big Muff Pi Deluxe builds upon the success of the classic Bass Big Muff pedal with powerful enhancements that provide the modern bass player with the ability to indulge in highly definitive tone shaping and pure bass-fun! The Electro-Harmonix Bass Big Muff Pi Deluxe is presented in a tough and compact die-cast chassis that mirrors its strong sound capabilities. The ‘Blend’ function allows the player to mix the direct and distorted signals to the taste of the player, while the built-in noise gate with adjustable threshold eradicates unwanted noise at all levels and the foot-switchable crossover section with a variable low pass filter on the dry signal and a variable high pass filter on the distorted signal give bassists the ability to further sculpt their sound. If this one breaks I'm buying another one! Just wow! This distortion effect allows you to get your own special sound out of your bass. You can play around with; Volume: to boost your sound; Blend: to ajust te level of your distortion; Tone: to ajust how clean tone you wanna have; Sustain: to play with your distrortion again and so on... I also love the function of crossover! It makes your bass sounds even crazier! It makes bass solos sound like a masterpiece.